Family Literacy Night @ T.E.S. 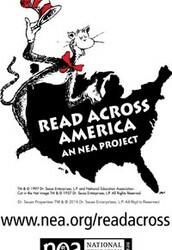 In honor of Read Across America month, TES will be hosting a family literacy night geared toward literacy. We are offering some great sessions and a night of fun for kids and parents, and don't miss the chance to visit the Book Fair! We will close the night up with a family soup dinner and a visit from the one and only Cat in the Hat! EVERY STUDENT WHO ATTENDS THREE DIFFERENT SESSIONS/ACTIVITIES WILL EARN A CERTIFICATE FOR A FREE BOOK FAIR BOOK! Stop by room 111 to take a silly and fun photo with some Seuss props! 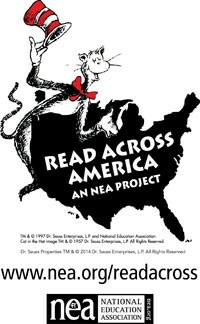 Looking for some reading information for your K-2nd grader? Come to room 115 for an informative session. Wondering how to keep your 3rd-5th grader interested in reading? Come to room114 to check out some cool authors and books that preteen readers love! Wondering what in the world your child is talking about when they say RTI? Join us in room 113 to learn all about our Response to Intervention program. Stop by the book fair across from the gym all night long to find some books that are sure to get your kiddos reading! 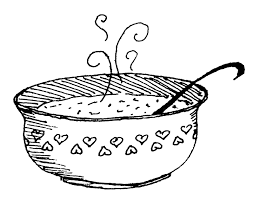 Join us in the cafeteria at 6:30 for a soup/sandwich dinner prepared by the faculty and staff. You never know who might pop in for a visit!